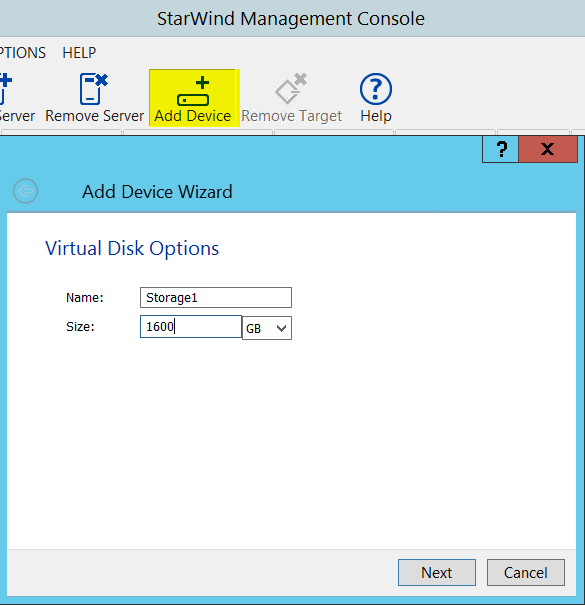 One important thing you need for your virtual environment is storage. 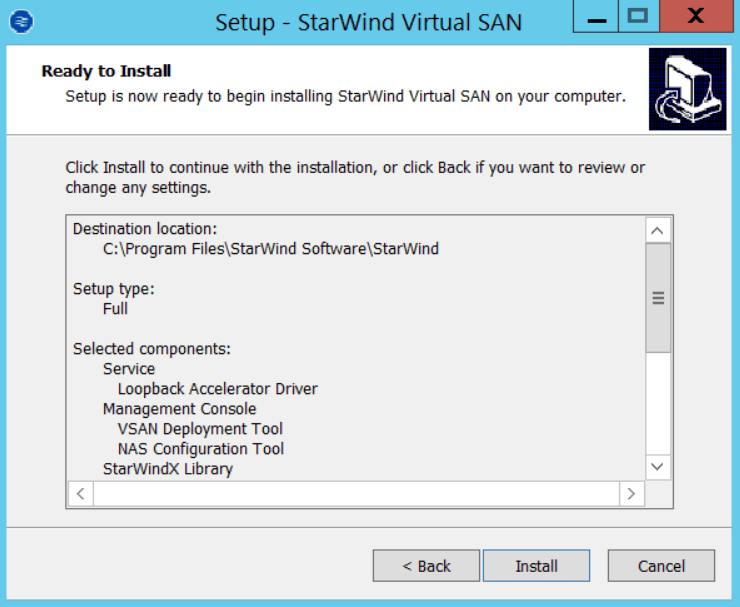 If you have a single ESXi host then using local storage is just fine but if you have multiple hosts and want to use features such as vMotion, High Availability (HA) , and DRS you need shared storage. In my quest to find a storage solution I started out using my Synology DS411slim. 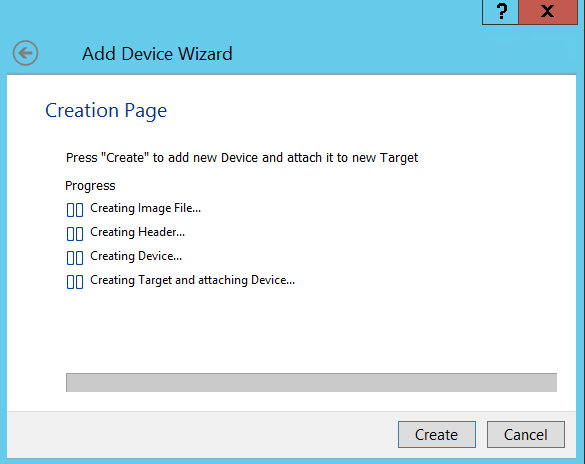 It works fantastically but I am very limited with speed and drive size due to the 2.5″ drive limitation. 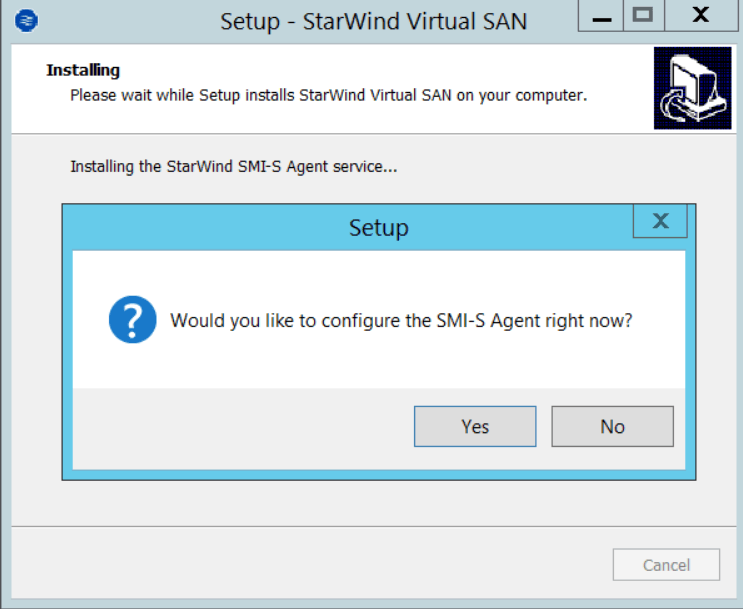 With the cost very high for a new Synology unit it left me seeking an alternative solution, that is where StarWind Virtual SAN steps in. 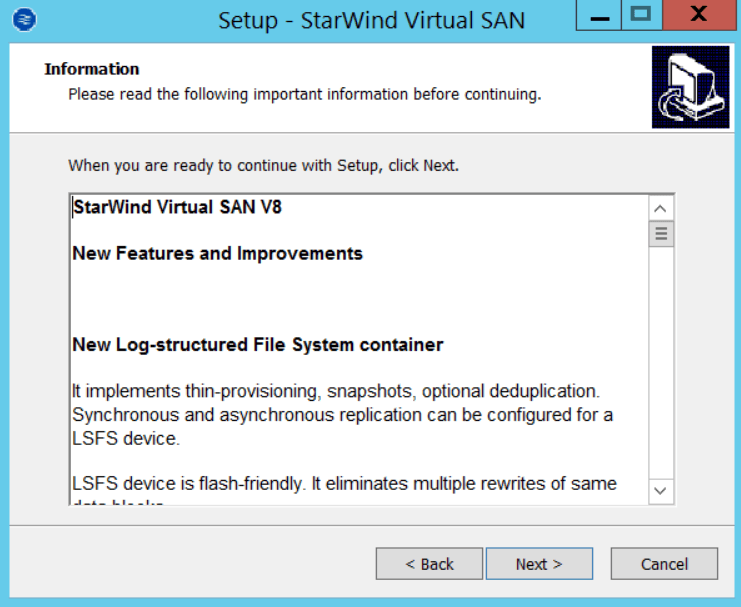 StarWind Virtual SAN presents a servers local storage as a iSCSI LUN and even performs VMware VAAI functions. 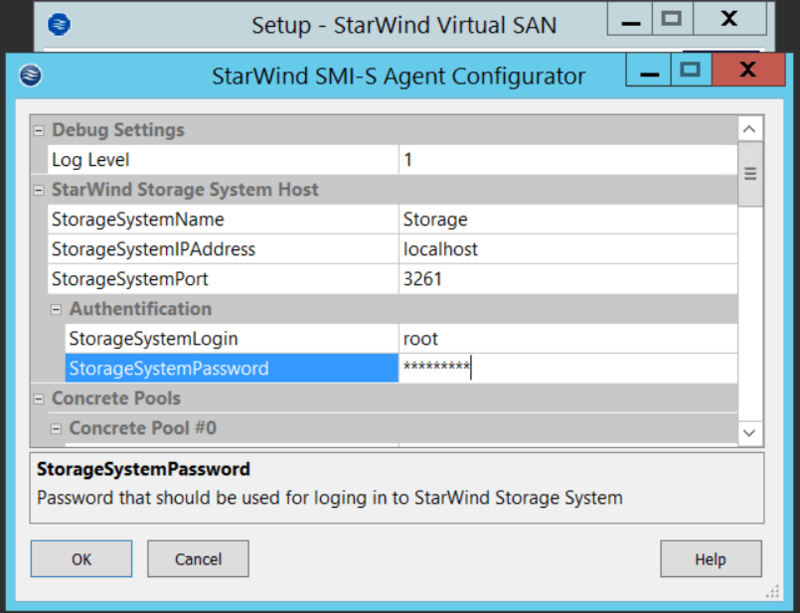 At a minimum all you need is some local storage and a network connection as you will be presenting it out as iSCSI. 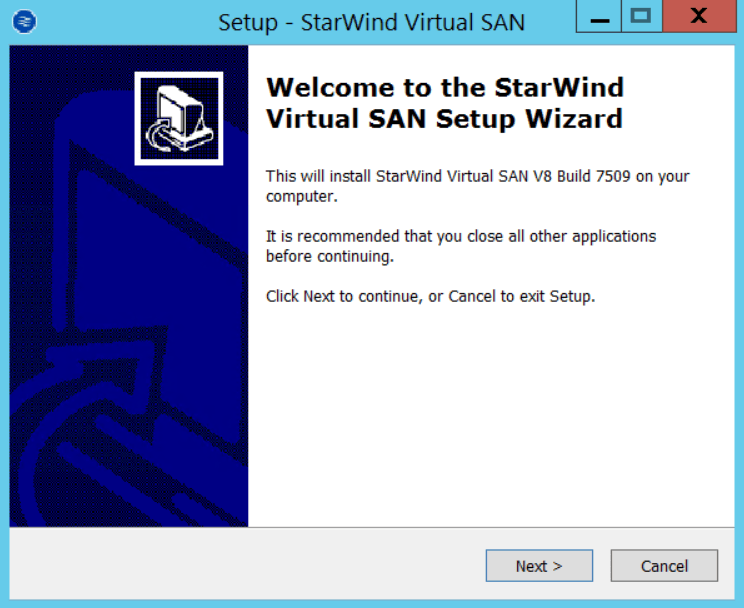 Luckily I have a Dell PowerEdge R520 that will become my virtual SAN server. 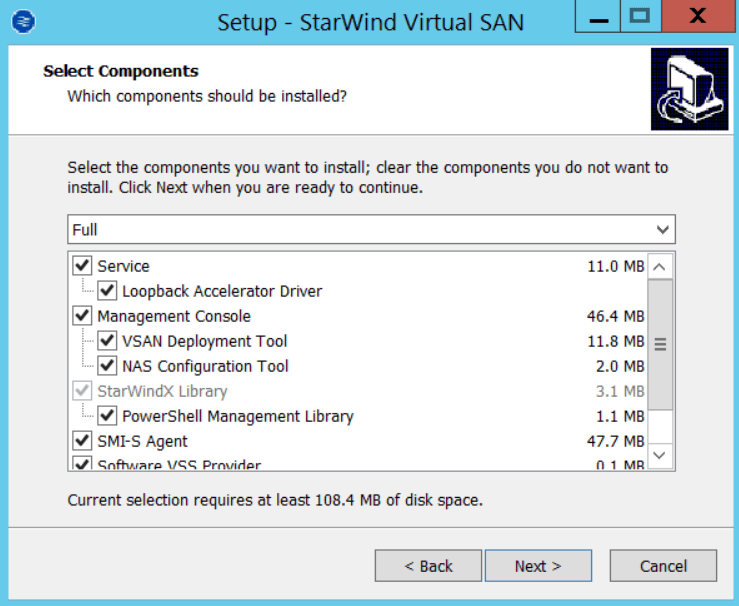 For better performance, you should have storage running on a RAID (5,10, etc) and multiple network connection that will be dedicated for iSCSI traffic. 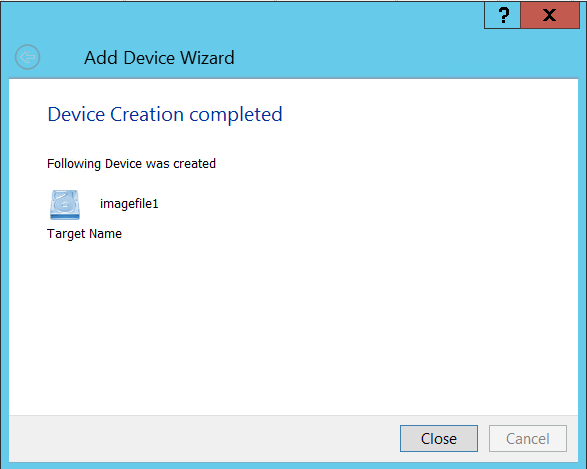 I have eight 300GB 10k SAS drives using RAID 5, I carved 300GB for my boot drive which left 1.6 TB for my D:\ drive. 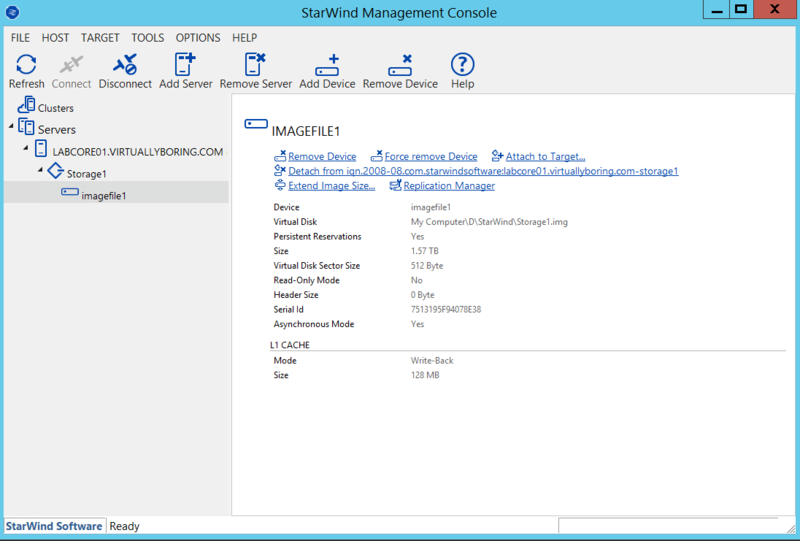 Welcome to the StarWind Management Console. 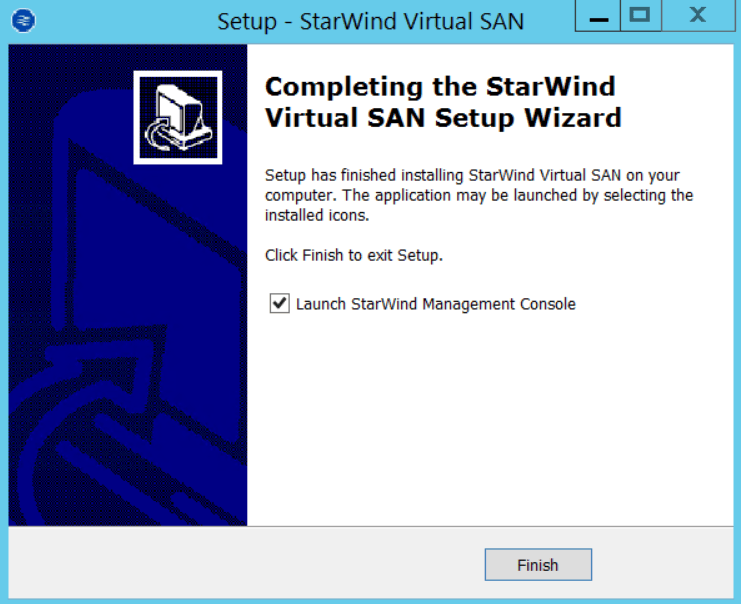 We only have two more things to do before we have a operational virtual SAN. 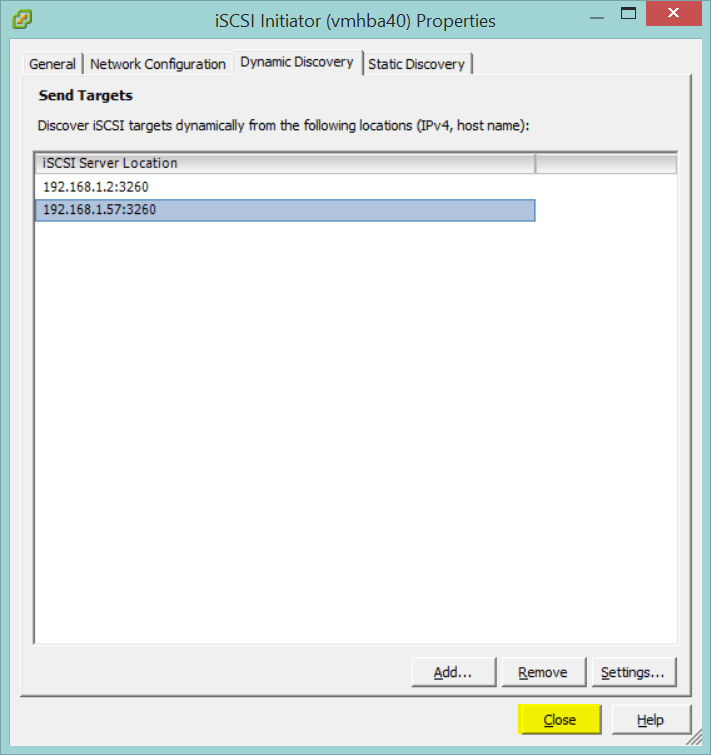 If you have multiple network connections you can dedicate some of them only for iSCSI traffic. 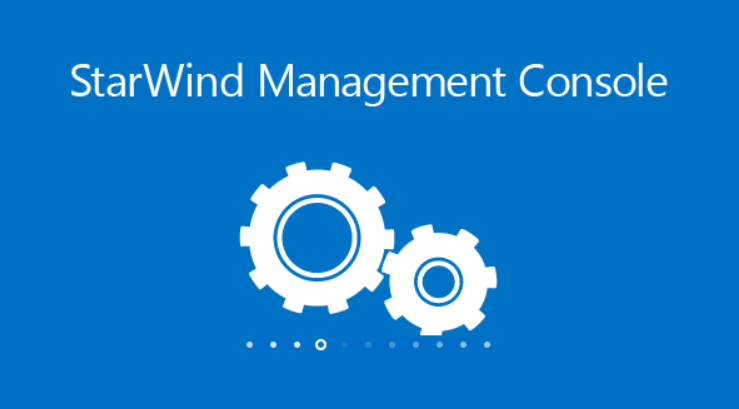 Back on the Management Console, click on the Configuration tab, then Network. 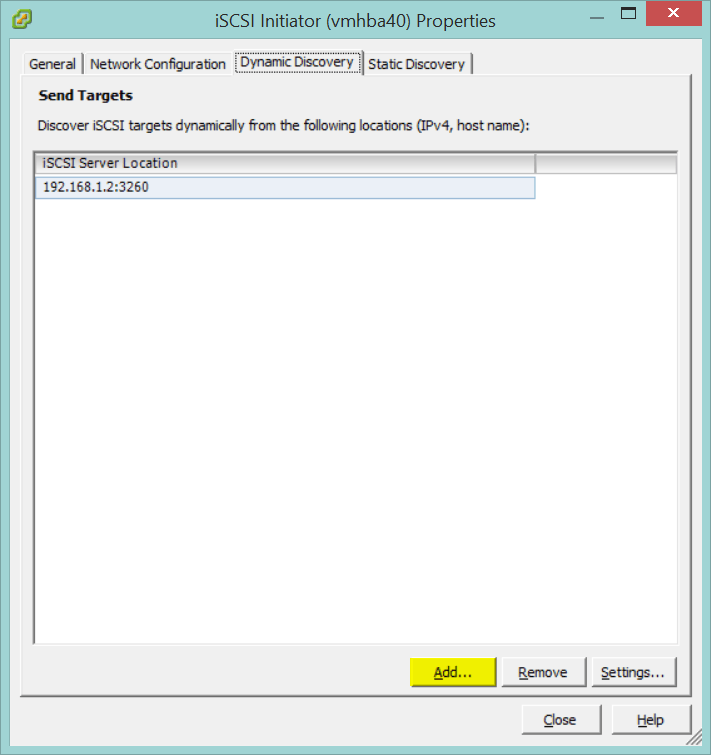 If you are dedicating iSCSI traffic go ahead and remove the IP address of the server. 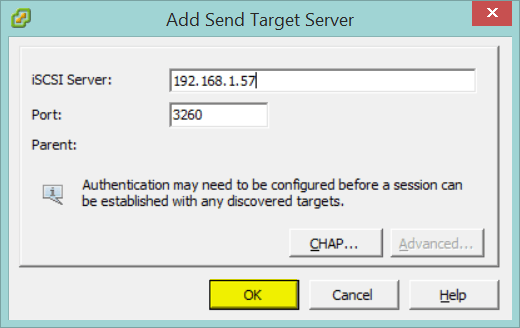 Then only your iSCSI NICs will be listed. If you aren’t going this approach then ignore this step. 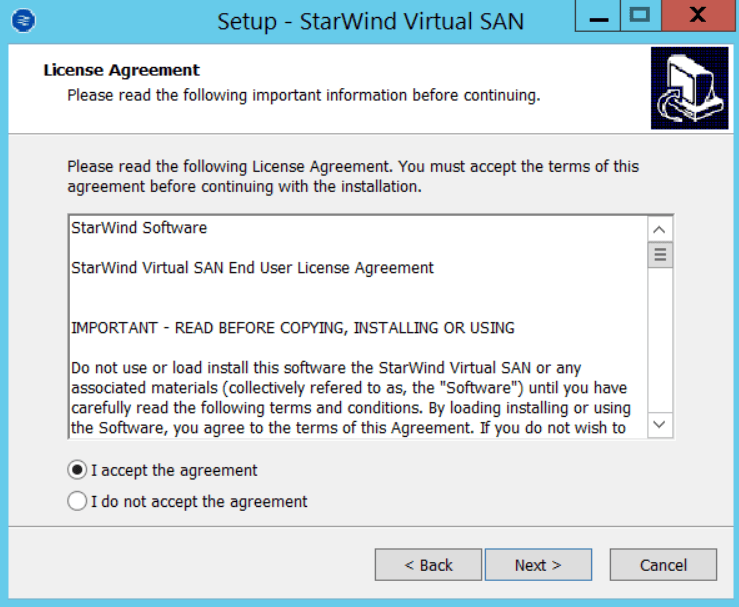 We now have virtual SAN storage!! 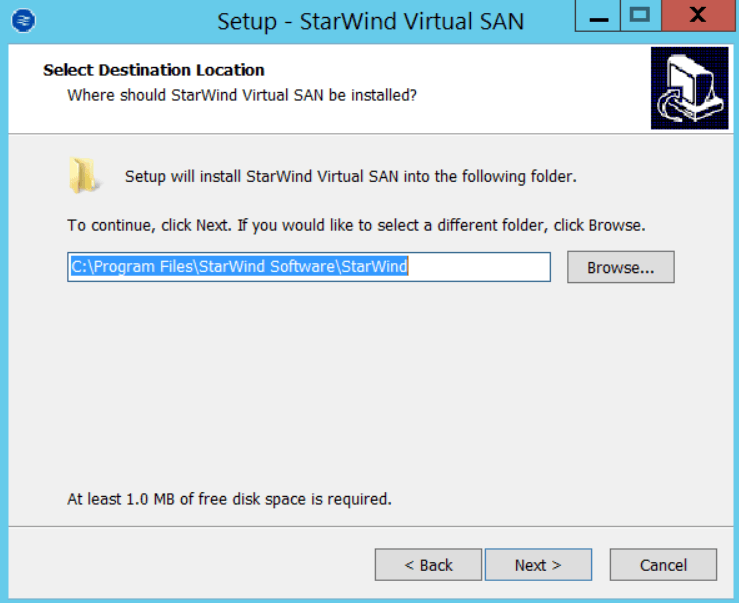 You should now see the Starwind disk appear! !